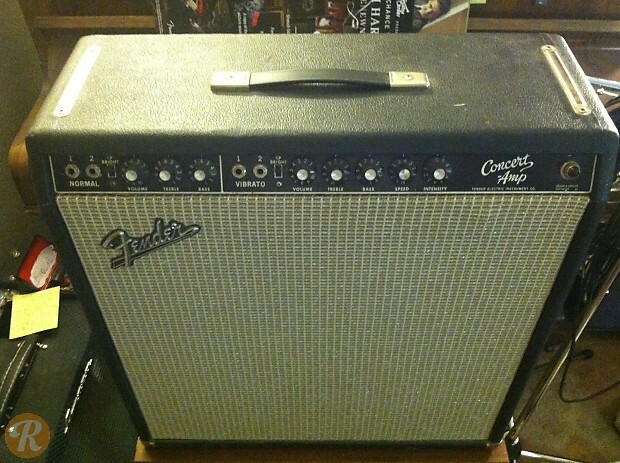 The Fender Concert amp was a 2-channel, 4 by 10-inch combo with onboard vibrato. This amp's circuitry is very similar to that of the Vibrasonic but features a different tube complement. 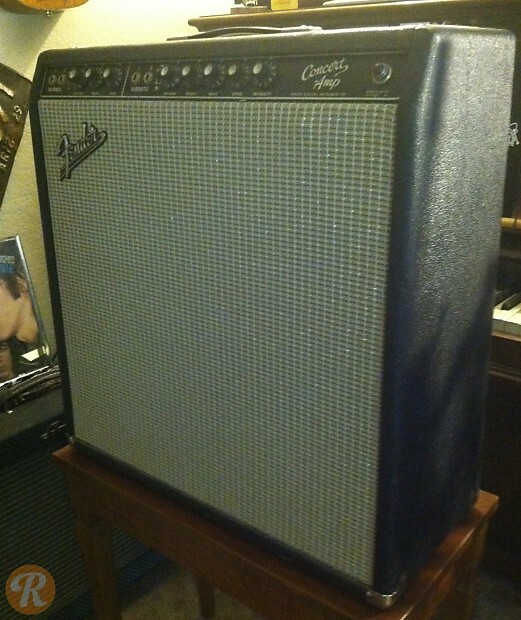 In its first year, the tolex used on the Concert amp changed somewhat: originally the brown had a pinkish tint, before switching to a darker shade of brown by 1961. 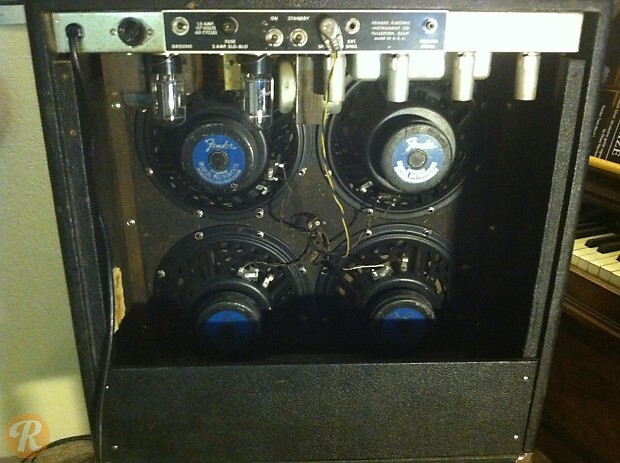 After 1963, this amp used Fender's Blackface cabinet style.